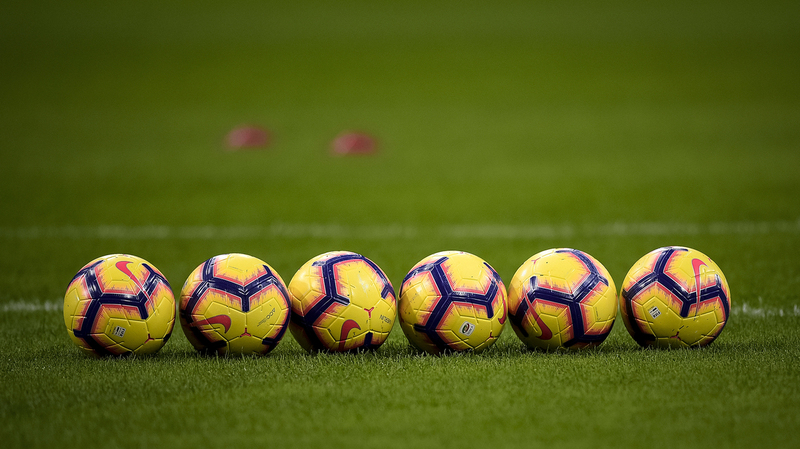 'That's How I Found Out I Was Dead': Soccer Club Fakes Player's Demise (Poorly) Fernando LaFuente's former team, Ballybrack FC in Dublin, says it made an "unacceptable mistake" by falsely reporting his death in an accident. He didn't find out about it until coworkers told him. The tragic phone call came in Friday morning. That's when Ballybrack FC, an amateur Dublin soccer team, told league officials that one of its players had been killed in a traffic accident on his way home from practice. Fernando LaFuente, sadly, had played his last game. The reaction was swift. Ballybrack's opponents that Saturday agreed to call off their scheduled game out of respect for LaFuente, and teams across the Leinster Senior Football League observed somber moments of silence before they resumed play. Condolences to everyone involved at Ballybrack FC on the tragic passing of their player making his way home from training on Thursday night. All at Rush Athletic express our deepest sympathies. There was just one minor issue: Fernando LaFuente is very much alive. "After my work finished I was playing some video games, and suddenly I got a call from work," LaFuente told RTÉ Radio One on Wednesday. His coworkers called Tuesday night to check in on him. They'd seen reports about his "accident." "They started sending me all these news articles and all these mass media," he explained. "And that's how I found out I was dead." As it turns out, Ballybrack officials had faked his death. A Spanish national, LaFuente said he had played on the team since January. But he dropped out about two months ago, when he left Ireland's capital for work in Galway, on the other side of the country. It appears at least one team manager used his move as a convenient opportunity to wriggle out of playing Saturday's match. Later asked why he thought the team did it, LaFuente said they were most likely just struggling with a thin bench as the game approached. "I think maybe they had a rough time getting players," he told the Irish broadcaster. "They don't play professionally. Most of them have regular jobs and some of them work in the UK or at university, people moving to other countries." League Chairman David Moran said the story began to come apart Monday, when he inquired about funeral arrangements. The team's response — that LaFuente's body had already been flown back to Spain — immediately "rang alarm bells for us," Moran told RTÉ on Tuesday. "We checked the hospitals, we checked everywhere," Moran added. "Nobody could find anything about this young fella." "This grave and unacceptable mistake was completely out of character and was made by a person who has been experiencing severe personal difficulties unbeknownst to any other members of the club," Ballybrack FC said in a statement issued Tuesday, noting that "the person in question has been relieved of all footballing duties." Moran has promised a detailed investigation into what exactly happened. Meanwhile, observers have wasted little time cracking wise about the incident — including some of club's opponents: "Any of the alive players from Ballybrack are more than welcome to come up training," Valeview Shankill FC quipped on Twitter. Another Irish club, which plays in another amateur league, was even moved to perform a tribute. LaFuente himself said that as early as last weekend he was aware that something was up. His former teammates had warned him that he might see something online about his being in an accident but, he told RTE, "I thought it was going to be a broken leg-type accident." When he found out the true scale of the lie, he reached out right away to his mother in Spain to let her know that all the reports of his death — including an obituary in the Dublin Herald, LaFuente noted — were greatly exaggerated. But all in all, this dead man walking is taking it in stride. "It's serious on their part, but I'm finding it a little bit funny," he said. "Because basically, I'm not dead."